With the decline in car ownership and the rise of car and ride sharing platforms, parents have been eager to find a solution to enable them to travel with their toddlers in safety. Press Release (ePRNews.com) - LONDON, England - May 23, 2017 - The new “Urban Kanga” portable car seat is targeting a new generation of urban parents that have given up the luxury of owning a car. Increased use of car sharing and carpooling has created a new demand from parents for increased mobility and space saving products. A survey conducted in October 2016 by GfK Custom Research, LLC (GfK),for C.S. Mott Children’s Hospital, (University of Michigan, Department of Pediatrics), showed that 15% of parents did not put their toddler in a car seat for all car rides taken during a recent trip. This places the toddler at significant risk of injury in the event of a crash. The majority of instances where a car seat was not used involved taxi, car-share or ride share service (Uber, Drive now, Car2GO etc.). The Urban Kanga patented car seat, (Group 1, 9-18kg) is a lightweight, foldable and portable car seat that takes only 60 seconds to install and comes with its own carry bag. It even fits into standard suitcases. 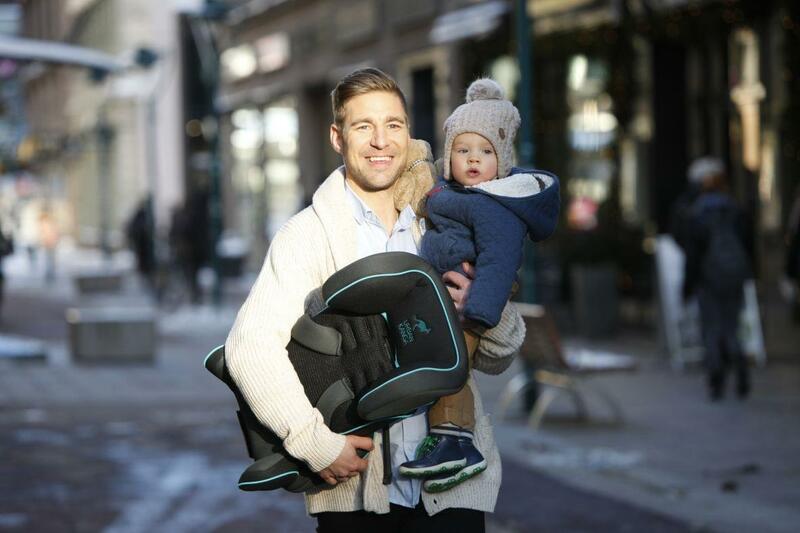 Tested and certified to meet European safety standard ECE R44/04, this lifesaving device (literally and metaphorically) offers freedom to young parents who are moving back to cities and find themselves without a suitable solution for their modern parenting needs. The “Urban Kanga” weighs only 3 Kg and can easily be slung over the shoulder, leaving hands free to carry all the other stuff parents often travel with. “It gives parents back their freedom,” says Jonathan. Not only parents benefit from the mobility and portability of this car seat. Grandparents, car poolers, multi vehicle families and travelers can all enjoy the value of having a portable car seat without sacrificing safety. This portable car seat is a best seller for some years now in Japan, an extremely space conscious and safety-oriented society. “Our European team worked with leading car seat manufacturers and top engineers to adapt the product to European standards and tastes which resulted in the birth of the ‘Urban Kanga'” adds Jonathan. The Urban Kanga will be available on all Amazon European marketplaces as well as selected retailers around Europe from May 2017.